If your future travel plans include flying somewhere, this might be the perfect time to apply for one of the Trusted Traveler programs. Long lines at security can result in a rough start to your trip, with tempers tested long before you actually board an airplane. But you do have options. 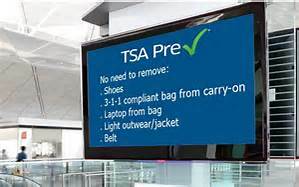 TSA Pre-check: The Transportation Security Administration (TSA) manages and operates TSA Pre-check, an expedited security screening process. Upon approval, you can move through security more quickly and easily in a dedicated line, which is almost always shorter than the regular security line. The line generally moves faster because you don’t have to take off shoes or jacket or put your baggie of liquids or computer in the bin, which saves a lot of time. You can pre-enroll online, then visit an enrollment center to verify ID and provide fingerprints. Global Entry: If you travel both within the U.S. and internationally, your best bet is Global Entry. A five-year membership is only $100. This program provides expedited processing through customs at airports and land borders upon arrival into the U.S. Trust me, after you’ve endured a long flight to get back on American soil, you’ll be relieved to skip the long lines at customs. For Global Entry, you will also have to schedule a personal interview (can take weeks or months in some locations) and must provide a passport or permanent resident card. 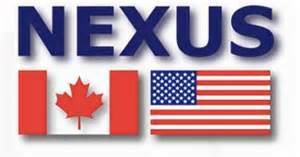 NEXUS: U.S. and Canadian citizens or permanent residents of either country can apply for NEXUS, an expedited process for airports and land borders between those two countries. Application is similar to Global Entry, and a five-year membership is $50. It includes Global Entry and TSA Pre-check for travel between those two countries. SENTRI: Travelers frequently arriving in the U.S. from Mexico, should consider enrolling in SENTRI. The process is similar to NEXUS, and the program requires proof of citizenship and admissibility documentation. Five-year membership fee is $122.25. 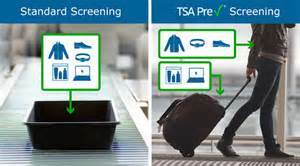 Be a smart traveler: Once you have received approval for any of these programs, be sure to enter your Known Traveler Number or PASS-ID into the passenger information section for the airlines you’ll be traveling on, or provide that number to any agent or company that books flights for you. I also double check before checking in for a flight to make sure that number is correctly and currently noted at the airline’s website. If for some reason, it isn’t, you won’t get the benefits due you—and the agent at the airport can’t change the notification (or lack of it) on your ticket.